This is probably one of the most majestic views a man could ever see. Just next to a gigantically bloated, blindingly bright star lurks a voracious ball of "nothingness": a black hole that scrupulously engulfs the matter from its shining companion. These particles, falling to the horizon of events, form a flat whirlpool, part of which flows towards the axis of rotation of the black hole. From both poles, narrow jets of matter shoot in opposite directions. Collimated by the invisible claws of magnetic fields, like a giant's hairpins, they pierce the abyss of the cosmos, breaking off on the expanding shell of matter surrounding the system – the remnants of a supernova explosion. 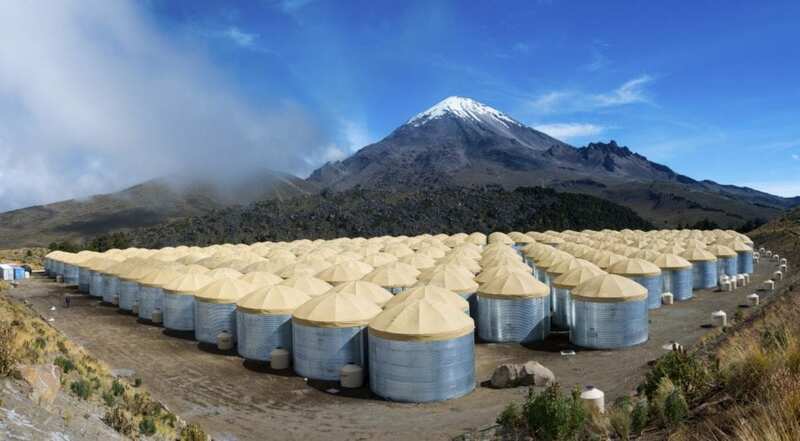 Welcome to the world of the microquasar SS 433, in recent months one of the main objects of interest of the High-Altitude Water Cherenkov Observatory Gamma-Ray Observatory (HAWC).